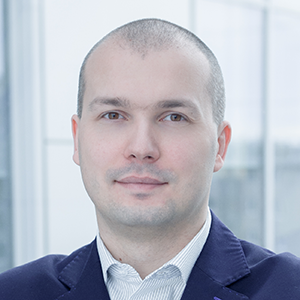 Piotr Stępniak has over 10 years of experience in academic and commercial bioinformatics projects, which includes working with partners from universities, medical research institutions, cancer clinics and biotech companies. He conducted bioinformatics research dedicated to biomarker discovery, enzyme redesign, drug discovery, as well as prediction of clinical events such as surgery complications and early brain metastasis. Piotr joined Ardigen, a leading Polish bioinformatics and AI company, to pursue the advancement of precision medicine in oncology with the application of artificial intelligence. His role is to shape the in silico immuno-oncology products and partnerships. His expertise spreading across Life Sciences, Data Science and IT was instrumental in creating a successful collaboration relationship with over a dozen partners ranging from academia, through emerging biotech companies, up to big pharma located in San Francisco Bay Area, Greater Boston Area and European Union. Multiple factors contribute to immune system recognizing cancer and diverse strategies may help fight the disease – vaccines, microbiome based therapeutics and diagnostics or better biomarkers. Ardigen combines expertise in AI and domain knowledge to increase the response rates in immuno-oncology.